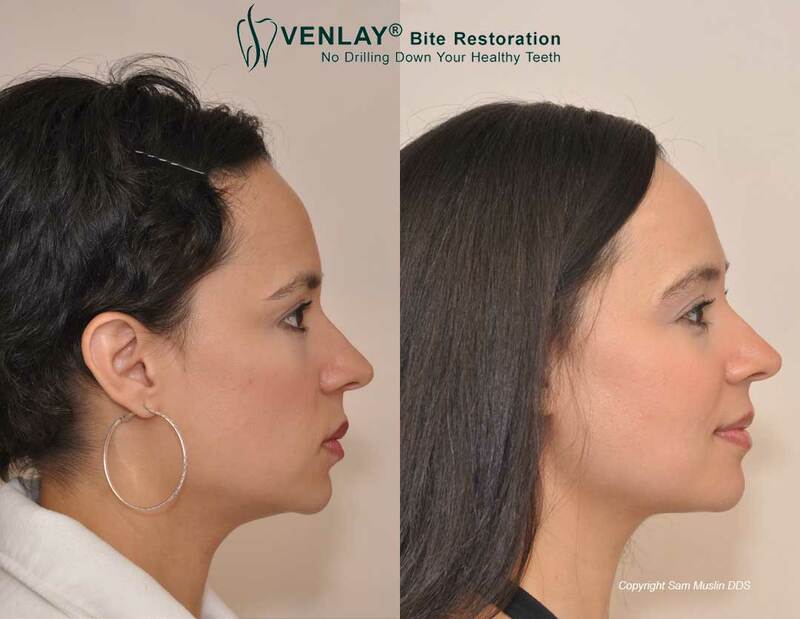 With JawTrac® Jaw Alignment and VENLAY® Bite Restoration her profile was optimized to radiate her natural beauty. When a patient has an underbite, their jaw looks too large and the facial profile is undesirable. When a patient has an overbite, they have a small-looking chin and a weak facial profile. This method improves the profiles of both, the underbite and the overbite by developing the ideal three-dimensional jaw position that improves the patient’s facial profile and their health. The patient with an overbite and weak chin gains a better jawline and improved shape to their face along with a profile correction without a chin implant. The patient with the large lower jaw and an underbite can speak more clearly, has a more normal facial profile and has upper teeth that can easily be seen while the patient is speaking. When a patient gets plastic surgery, the soft tissues of the short round face are altered to help the patient look younger. The structural part of the face was NOT improved so the reason that they were looking and feeling older is not solved with plastic surgery. Face Lift Dentistry® can improve the structure and shape of the face. 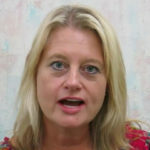 Older patients are losing the structure and shape to their faces because their bites are wearing down and they are living longer than ever before. When the teeth support the face and the jaw is aligned, the patient’s face is younger looking with a newly proportioned shape to their faces. This smart young lady wants to maintain her natural youthful appearance and realized faster than most people that her bite was causing premature aging.